Scenery of the night city. Out focus shooting. Neon signs and car lights are shining. Shinjuku, Tokyo, Japan. 4k00:30Scenery of the night city. Out focus shooting. Neon signs and car lights are shining. Shinjuku, Tokyo, Japan. 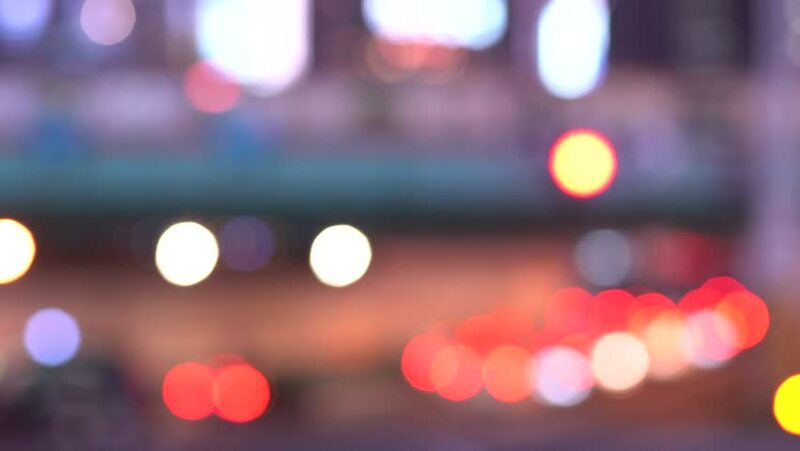 4k00:14Blurry traffic with Bokeh lights in a urban environment at night.